The Manawatu Open is held each year in October and is part of the Manawatu-Wanganui Order of Merit. With both Men's and Women's divisions, this event often attracts a number of the top amateur players from around the Lower North Island. Entries open in September and are restricted to the lowest entries by handicap at the closing date. In what could be described as brutal conditions, the Wallace Development Limited Manawatu Open was played on Sunday 22nd October. Congratulations to Brydie Hodge (Levin) and Kerry Mountcastle (Masterton) for taking out the women's and men's events. Great effort by the Green Keepers getting the course in great condition after a very trying winter. Also to Warren, Rachel, Christine and Brent for organising the day. And especially Wallace Developments Limited for sponsoring the event. The Mortgage Link Manawatu Open was played on 16 October 2016 with about 100 players participating. Typical Manawatu spring winds provided a real test for the players. The Men's title was decided in a sudden death playoff after two players, Manawatu’ s Ewan Westergaard, and Palmerston North's Rhys Harold tied at 2 over 146 after the two rounds. Westergaard made a solid par on the par 4 18th hole used in the playoff, against Harold's bogey 5, to take the title. In 3rd place and just one shot back was last year’s winner, Regan McConaghty, followed by Manawatu’ s Trent Munn and Reid Perry, both another shot back. Reid Perry had the day’s lowest round with a 2 under par 70 in round 1. In the Women's division Wellington youngster Darae Chung cruised to victory with a pair of 77's to finish seven shots clear of Waitemata's Bridget Connelly. Wanganui's Tara Raj was the best of the locals in 3rd on 163, followed by Mudra Lakhani a further shot back. A big thank you to Mortgage Link Manawatu for their sponsorship of the event again. The tournament this year became part of the New Zealand Order of Merit for the first time which helped attract a top class and full field. Thank you to John Garrett who was tournament director for the day, Ian Anderson and Grayson Joines for being the on course referees, also Marg Scott, Angela Pivac, Rodney Thomas and Richard Shaw for their help. The Mortgage Link Manawatu Open was played Sunday 18 October at the Manawatu Golf Club in very wet, spring conditions. Consistent overnight rain softened the course and with the rain continuing throughout the morning, the end result was a few of the greens starting to flood. But with a number of volunteers on ‘squeegee’ duty, play was able to continue with the rain easing into the afternoon. Considering the amount of rain the course was in magnificent condition. Marton Golf Club member and defending champion Lachie McDonald got off to a slow start with a three over par 75 in the tough windy, wet conditions. That was still only two shots off the pace with surprise leader Manawatu Golf Club’s Regan McConaghty opening with a 73. Manawatu’s Rhys Watkins was only one off the pace with a 74 as was Taranaki visitor Zach Lewis. In the afternoon conditions became no easier with the wind intensifying. Joseph Doyle from Taranaki backed up his morning round of 75 with another 75 to post a two round total of 150. Watkins slipped off the pace with an afternoon 78 and so did Lewis who blew out with an 82. McDonald could only manage a second round 78 and would eventually finish tied for sixth. But it was going to be McConaghty’s day who ground out a four over par 76 to post a winning score of five over par 149. This was the first major tournament win for the Manawatu Golf Club Academy member. In the Women’s Open, it was a one horse race with Manawatu member Maraea Durie shooting back to back 74’s to win the women’s section by 19 shots. Durie who is recently back from completing four years on a Golf scholarship in the US was too classy for her rivals. Her even par total over the two rounds was very impressive considering the conditions. 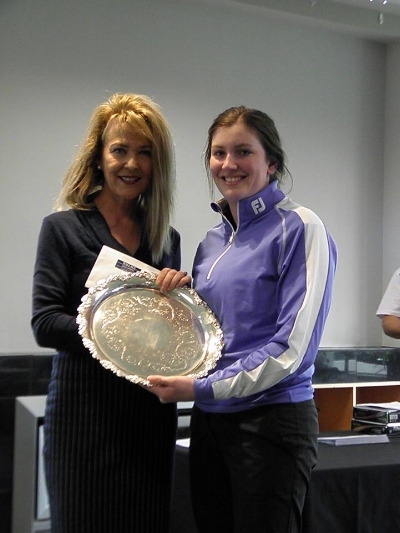 Second place went to young Katherine Paskins from Palmerston North Golf Club who had rounds of 84 and 83. 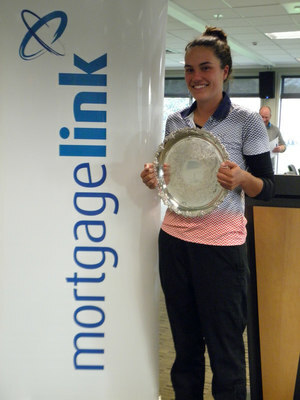 Third was Manawatu’s Emma Clayton who was making a comeback to tournament Golf after a quiet year. Over all 88 Golfers took to the fairways over 36 holes in the last event on the Manawatu-Wanganui Order of Merit.